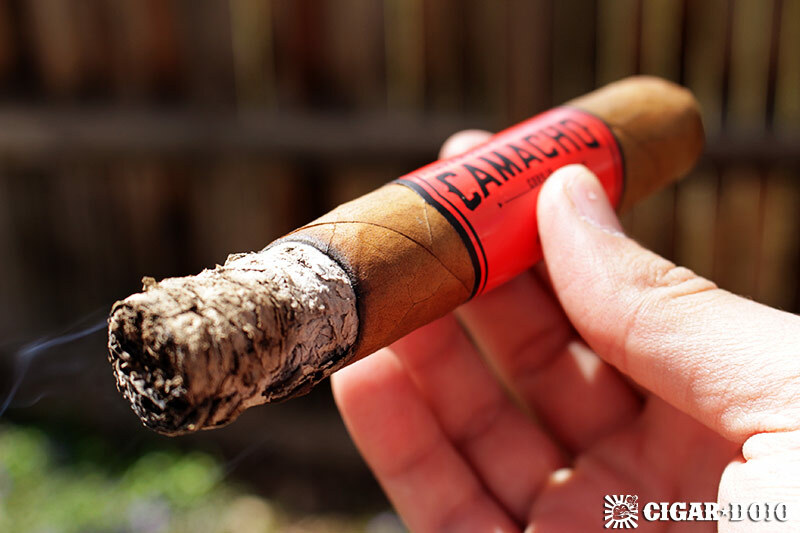 It’s been nearly 2 years now since Camacho took the extensive steps of completely re-marketing their entire brand and lineup of cigars to fit their new strategy of bold cigars. 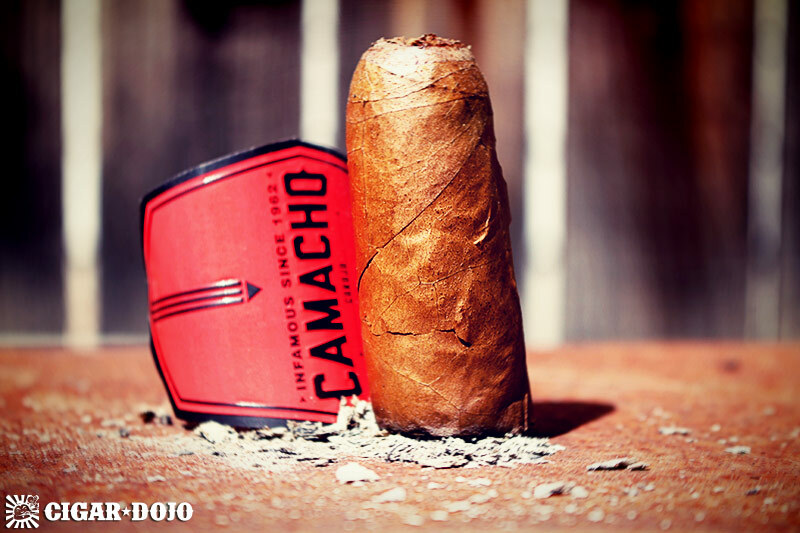 Scrapping multiple lines and reblending all but 2 cigars in the lineup, it’s safe to say Camacho made some serious waves in the cigar world. While the new, reblended Camacho Corojo has been out for nearly 2 years now, the Gordo vitola was only recently launched in February. 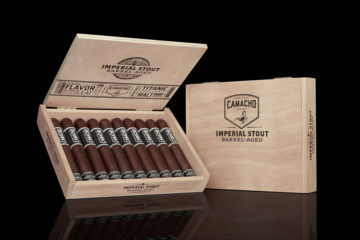 This is Camacho’s best-selling vitola (as you may expect), so adding the size to their core cigar was an expected move. 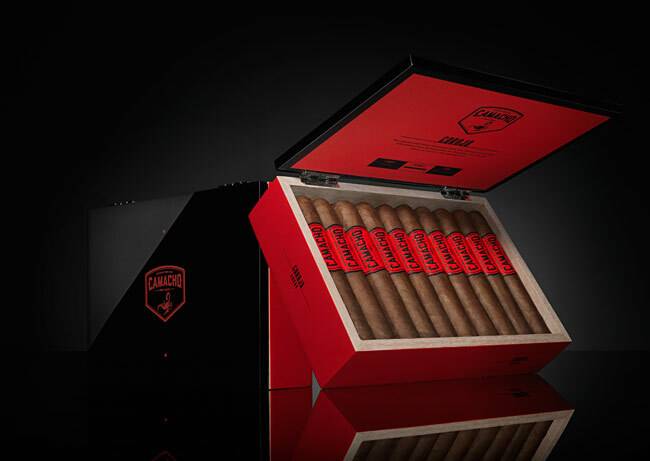 The cigars are big and beefy, though they feel light in the hand, which tells me they are not very densely packed. There is a nice, creamy and buttery hue to the wrapper (right in my wheelhouse). The head is triple capped, as it should be, representing the vintage Cuban style. All signs point towards a good smoking experience. As expected, the draw is very easy, make sure not to cut too much off the head – better yet, use a punch cut on this one. The Gordo lights up fairly quick for its size, instantly showing large amounts of smoke on each puff. Flavors begin with hay, caramel, and tang – it is a full-mouth feel with a lot of flavor right away. Soon there is a good amount of spice added, though it’s not “sinus-clearing spice”, it’s subdued and very pleasant. Additional flavors are of cedar and a familiar, Cubanesque muskiness – this is a pretty distant flavor though. I’m not a huge fan of large ring gauge cigars, but so far, I’m certainly not minding this one. 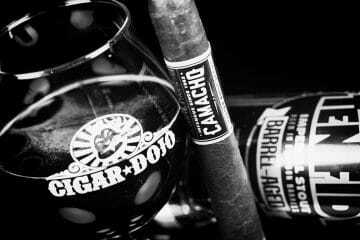 The cigar feels good, it looks good, the draw is easy, and the flavors are big and in your face – what’s not to love? While the ash holds for a good 2.5″ (maybe more), I did have quite the canoe forming at the 3″ mark. 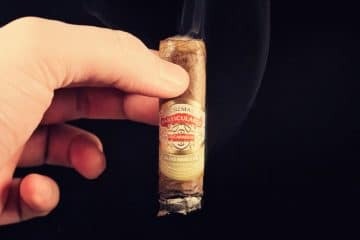 I’ve smoked quite a few of these cigars now, and none had any issues, until I smoked the cigar for this review – it happens to the best of ’em. I’m thinking there were some serious changes happening in the climate, as the cigar also formed a crack through the wrapper, near the head of the cigar. A few minor adjustments and I was back on track! Flavors are FULL, strength is medium/full, and body is medium/full. 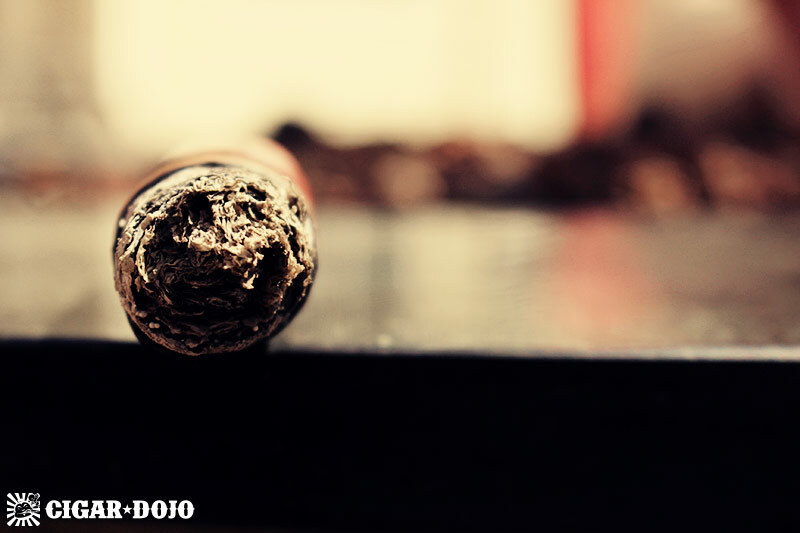 The cigar shows warm flavors of cream and caramel, as well as more cedar and hay from before. Near the ending portion, I also noticed a return of the spices, only being a bit more interesting at this point – there was a mixture of black pepper and Mexican peppers, most noticeably Jalapeño. Throughout the smoke, the flavors stay pretty consistent, the cigar focuses more on its whopping, full flavor kick, easy draw, and smoke output. Without question – yes. 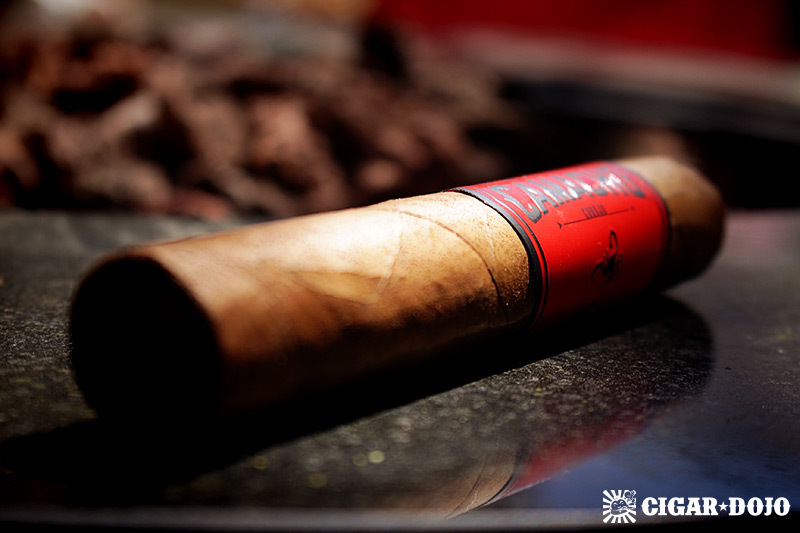 This cigar is great for those occasions when you don’t want to spend time sifting through your humidor wondering what is the right cigar for the occasion. Just grab one of these and let ‘er do her thing! It’s an “anytime cigar” (on the stronger side), but I’d prefer it as a late afternoon smoke. This may not be the size of choice for the aficionado, but when smoking a Gordo, this would sure be one of my first choices (I'm actually having trouble thinking of a better "big cigar" at the moment). The Corojo Gordo delivers as promised, with big & BOLD flavors, it's a profile you'll notice right away without having to put too much thought into it.